Due to their restricted range and small numbers, the Columbian white-tailed deer Lower Columbia River​ population is considered a threatened species. The Columbian white-tailed deer (Odocoileus virginianus leucuru) is among the white-tailed deer’s three subspecies found in North America. It is also a member of the deer family known as Cervidae which includes the elk, mule deer, caribou moose, and the black-tailed deer. One of 30 subspecies of white-tailed deer, the Columbian white-tailed deer is differentiated in appearance by its tail. The tail of the Columbian white-tailed deer is slightly longer, and brown instead of black. It is the only species in North America west of the Cascade Mountains, congregating near the Columbia River in Oregon and Washington. The Columbian white-tailed deer had a quite restrictive range, they were once found in large numbers westward from the Cascade Mountains to the Pacific coast, and from Washington's Puget Sound to southern Oregon. Due to overhunting and habitat loss due to urban development, farming and logging, the Columbian white-tailed deer is now considered an endangered species. The two remaining populations are found in the Lower Columbia River near the Washington counties of Wahkiakum and Cowlitz as well as the Oregon counties of Clatsop and Columbia, and the Umpqua River Basin near Oregon's Douglas County. Columbian white-tailed deer feed on short grasses and flowers, as well as young deciduous trees such as willow, dogwood, cottonwood, spruce, and alder. They are often found grazing near the grassland edges of riparian areas and forests. Columbian white-tailed deer are capable of breeding as of 18 months of age. The rutting period begins in early November, with the fawning period in June. Females gestate for about 210 days, generally giving birth to one fawn at a time, although twins and triplets occur on occasion. Females live in family groupings of 2-12. Fawns stay with their mothers for approximately one year. Bucks shed their antlers every winter, and grow new ones from early spring to late summer. When the Columbian white-tailed deer was identified as an endangered species in 1968 only 1,000 individuals of the Lower Columbia river population remained. The Julia Butler Hansen Refuge for the Columbian White-tailed Deer was established in Wahkiakum County, Washington in 1972 to aid in their recovery. In 1978, a small population was also identified in the Umpqua River Basin near Oregon's Douglas County. 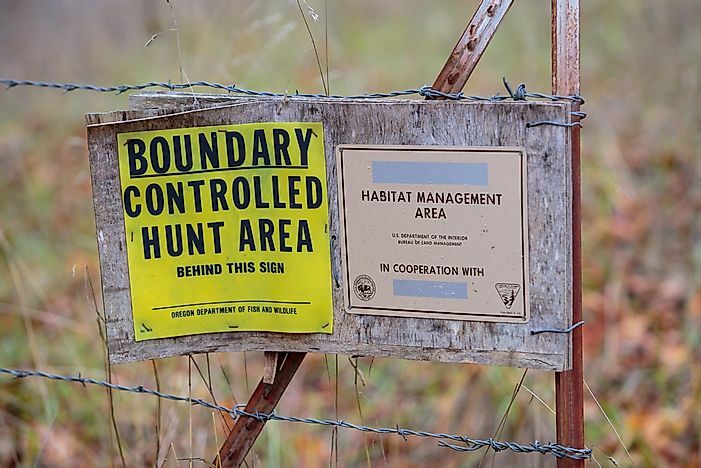 A 6,000 acre parcel of land known as the North Bank Habitat Management Area was provided for the recovery of the Douglas County population. As of 2003, the population had rebounded to 5,000 individuals and was delisted. Although extensive flooding hampered the Lower Columbia River population in 1996, the population has since increased and was downlisted from endangered to threatened in 2013.